What is the cheapest way to get from Chinatown Hotel, Bangkok to Pattaya? 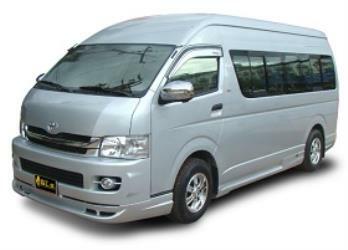 The cheapest way to get from Chinatown Hotel, Bangkok to Pattaya is to Mini Van which costs ฿280 - ฿300 and takes 3h 56m. What is the fastest way to get from Chinatown Hotel, Bangkok to Pattaya? 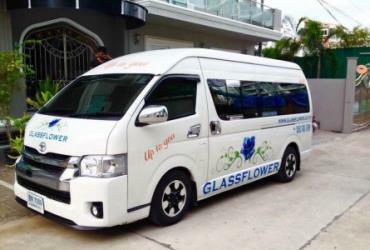 The quickest way to get from Chinatown Hotel, Bangkok to Pattaya is to Private transfer which costs ฿1700 and takes 1h 30m. Is there a direct bus between Chinatown Hotel, Bangkok and Pattaya? No, there is no direct bus from Chinatown Hotel, Bangkok to Pattaya. 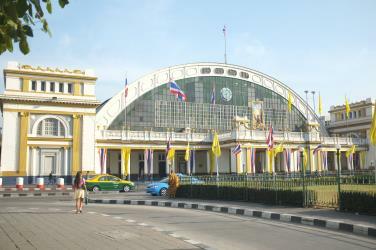 However, there are services departing from Chaloemburi Intersection and arriving at Pattaya via Khaosan Road. The journey, including transfers, takes approximately 3h 56m. Is there a direct train between Chinatown Hotel, Bangkok and Pattaya? 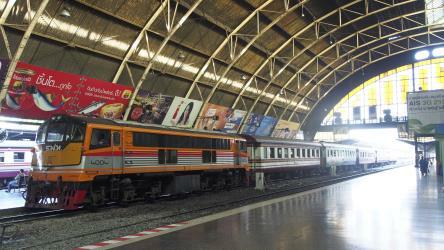 Yes, there is a direct train departing from Hua Lamphong and arriving at Pattaya. Services depart once daily, and operate every day. The journey takes approximately 3h 39m. How far is it from Chinatown Hotel, Bangkok to Pattaya? The distance between Chinatown Hotel, Bangkok and Pattaya is 98 km. The road distance is 148.9 km. How do I travel from Chinatown Hotel, Bangkok to Pattaya without a car? The best way to get from Chinatown Hotel, Bangkok to Pattaya without a car is to train which takes 3h 47m and costs ฿290 - ฿1100. How long does it take to get from Chinatown Hotel, Bangkok to Pattaya? 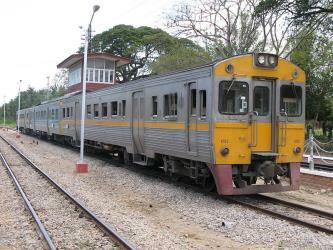 The train from Hua Lamphong to Pattaya takes 3h 39m including transfers and departs once daily. Where do I catch the Chinatown Hotel, Bangkok to Pattaya bus from? Chinatown Hotel, Bangkok to Pattaya bus services, operated by Mama Travel and Tour, depart from Khaosan Road station. 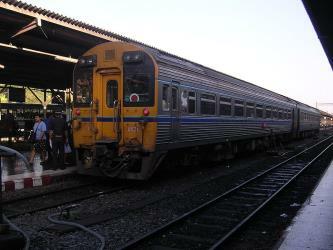 Where do I catch the Chinatown Hotel, Bangkok to Pattaya train from? Chinatown Hotel, Bangkok to Pattaya train services, operated by State Railway of Thailand, depart from Hua Lamphong station. 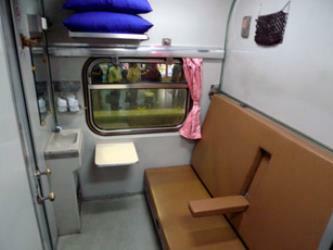 Train or bus from Chinatown Hotel, Bangkok to Pattaya? The best way to get from Chinatown Hotel, Bangkok to Pattaya is to train which takes 3h 47m and costs ฿290 - ฿1100. 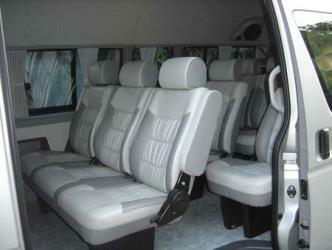 Alternatively, you can Van, which costs ฿370 - ฿400 and takes 3h 52m. What companies run services between Chinatown Hotel, Bangkok, Thailand and Pattaya, Thailand? 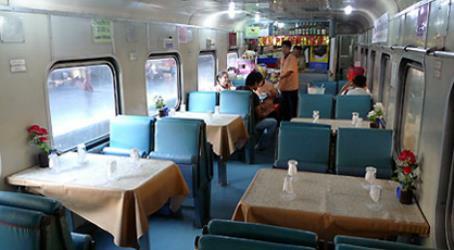 State Railway of Thailand operates a train from Chinatown Hotel, Bangkok to Pattaya once daily. Tickets cost ฿290 - ฿1100 and the journey takes 3h 39m. Alternatively, 12 Go Asia operates a bus from Chinatown Hotel, Bangkok to Pattaya once daily. Tickets cost ฿350 and the journey takes 2h 24m. Rome2rio's Travel Guide series provide vital information for the global traveller. Read our range of informative guides on popular transport routes and companies - including Travelling to and around Russia for the 2018 FIFA World Cup, Travelling by boat in Italy and Travel Insider: Top Japan travel tips by Beatrix Holland - to help you get the most out of your next trip. Where does the Chinatown Hotel, Bangkok to Pattaya bus arrive? Chinatown Hotel, Bangkok to Pattaya bus services, operated by Mama Travel and Tour, arrive at Pattaya station. 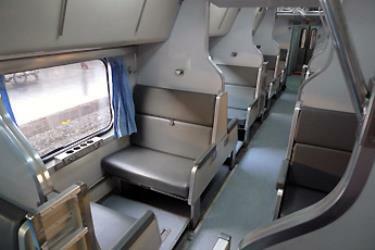 Where does the Chinatown Hotel, Bangkok to Pattaya train arrive? Chinatown Hotel, Bangkok to Pattaya train services, operated by State Railway of Thailand, arrive at Pattaya station. Can I drive from Chinatown Hotel, Bangkok to Pattaya? Yes, the driving distance between Chinatown Hotel, Bangkok to Pattaya is 149 km. It takes approximately 1h 30m to drive from Chinatown Hotel, Bangkok to Pattaya. Where can I stay near Pattaya? There are 3423+ hotels available in Pattaya. Prices start at ฿800 per night. Pattaya is a resort city in Thailand. It is on the east coast of the Gulf of Thailand, about 100 km south-east of Bangkok, within, but not part of, Amphoe Bang Lamung in the province of Chonburi. The Pattaya City (Thai: เมืองพัทยา ) is a self-governing municipal area which covers the whole tambon Nong Prue and Na Klua and parts of Huai Yai and Nong Pla Lai. The city is in the industrial Eastern Seaboard zone, along with Si Racha, Laem Chabang, and Chonburi. Pattaya's census population figure is 107,406, yet this only accounts for residents who have formally registered in the city. Pattaya is the center of the Pattaya-Chonburi Metropolitan Area—the conurbation in Chonburi Province—with a total population exceeding 1,000,000. Sanctuary of Truth (Thai: ปราสาทสัจธรรม Prasat Sajja Tham) is a religious construction in Pattaya, Thailand. The sanctuary is an all-wood building filled with sculptures based on traditional Buddhist and Hindu motifs. The top of the building is 105 meters high, and the building covers an area of more than two rai. It features contemporary Visionary art based on traditional religious themes. The project was initiated as an idea of Thai businessman Lek Viriyaphant in 1981, and is scheduled to be complete in 2050. Walking Street is a red-light district in the city of Pattaya, Thailand. Jomtien (จอมเทียน) or Jomtien Beach (หาดจอมเทียน, Haat Jomtien), on road signs and road maps also often written Chom Tian, is a town on the east coast of the Gulf of Thailand about 165 km south-east of Bangkok in Chonburi Province. It is about 3 km south of Pattaya and is home to high-rise condominiums, beach side hotels, beaches, and restaurants. 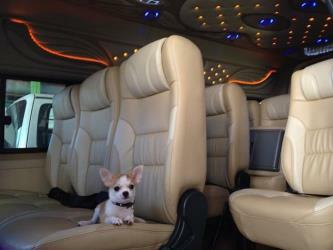 Rome2rio makes travelling from Chinatown Hotel, Bangkok to Pattaya easy. Rome2rio is a door-to-door travel information and booking engine, helping you get to and from any location in the world. Find all the transport options for your trip from Chinatown Hotel, Bangkok to Pattaya right here. Rome2rio displays up to date schedules, route maps, journey times and estimated fares from relevant transport operators, ensuring you can make an informed decision about which option will suit you best. Rome2rio also offers online bookings for selected operators, making reservations easy and straightforward.